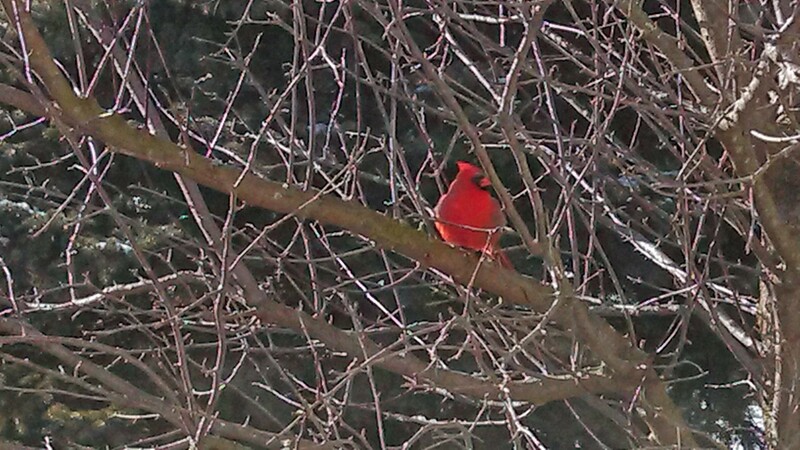 Sturdy little Peeping Cardinal has stayed true all winter. I caught him singing outside, and managed to snap a quick photo. Peeping Cardinal has made our yard his home for a few years. He has a particular fondness for our windows, and makes daily rounds by flying to the windows and perching. He doesn’t peck at the windows, but seems to peer in (hence, the name) to check on what we are doing.